Gold Buy the Gram Australia, is exactly that - you buy gold jewellery by the gram. It's so easy to work out how much you will pay for any one of our beautiful 9ct gold chain jewellery pieces - just multiply the weight shown next to the item you like in our catalogue by the price per gram - just $45 per gram - and that's how much you will pay (gst included). Click here to see how it works. We only sell quality Australian handmade and machine made solid gold chains, we do not sell plated or rolled gold. Click here to view our catalogue. "I recieved my bracelet today, very nice. Thank you very much"
"thanks Tony i got the bracelet very nice"
Only $49 per gram 9ct! Only $89 per gram 18ct! Please browse our site and then contact us to place your order. 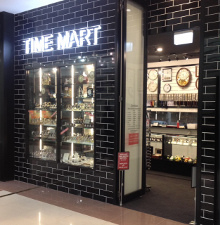 Find us at Shop 1060, Australia Fair Shopping Centre, Southport, Gold Coast, QLD 4215.